At Murphy Battista LLP, we believe in supporting our communities, especially during the Christmas season. Our sponsored charities foster growth and ongoing safety within local BC communities. In light of these efforts, Murphy Battista LLP has selected the following charities as the focus of our in-house community fundraising efforts. As we inch closer to the holiday season, we would like to pay our respects to our annual sponsored charities. Keep reading to learn more about what each of these charities does to help the community and how you can show your support at this crucial time of year. The Surrey Christmas Bureau (SCB) assists low-income families with toys, stocking stuffers and grocery cards, which allow them to create a memorable holiday for their children. 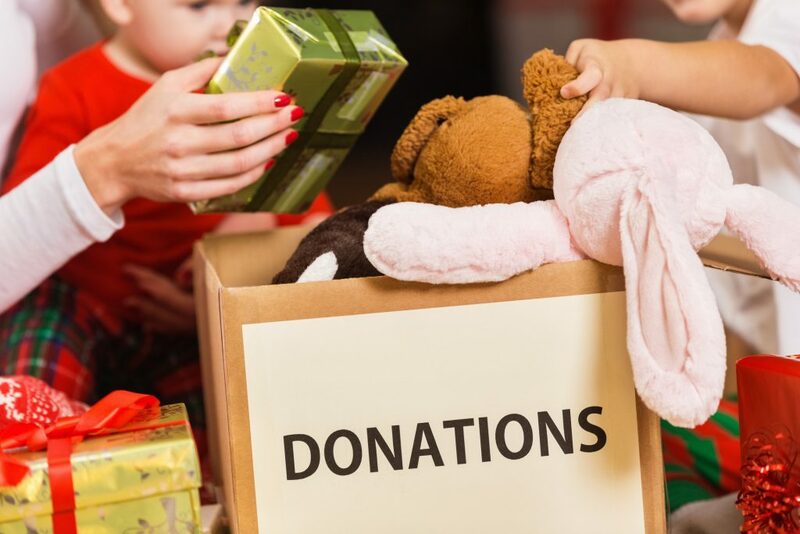 Recently, the Surrey Christmas Bureau has noticed a substantial drop in donations this year, while need in the area has only increased, a trend that appears to be affecting charities throughout the country. If you can spare a little this gift-giving season, be sure to help the Surrey Christmas Bureau in any way you can. Help the Surrey Christmas Bureau here. You may have heard of the YWCA Metro Vancouver, it’s a longstanding pillar of inspiration and hope for women’s equal rights. Since it’s inception in 1897, the YWCA is one of Metro Vancouver’s biggest and most diversified non-profit organizations. Their holistic, integrated programs and services help uplift women and families out of poverty, while providing a fresh start for children, creating new opportunities for education, employment, and even leadership. To learn more about the YWCA and what you can do to help give back these holidays, visit the site here. For the past 30 years, the Family Services of the North Shore Christmas Bureau has provided support to families on the North Shore. The Christmas Bureau relies entirely on the Sponsor a Family Program, financial donations, in-kind donations and the support of volunteers. The Christmas Bureau showcases the community’s willingness to assist low-income North Shore families with children 18 years or younger, and seniors 65 and older and persons with disabilities. Click here to learn how you can make a donation or sponsor a family on the North Shore. On March 8, 1957, five caring businessmen met in the boardroom of a bakery at the corner of Boundary and Kingsway for the first meeting of Big Brothers of BC. With a strong desire to support the children and youth in the Lower Mainland, founding board members Cecil S. Walker and well-known men’s clothier Murray Goldman became involved with Big Brothers shortly after the mentoring movement arrived on the West Coast. Big Brothers, Vancouver support child and youth development through essential Volunteer-led mentoring programs. To learn more about how you can show your support or mentoring services, click here. The Greater Vancouver Food Bank provides assistance to help address the immediate needs of the community, they also recognize that emergency food as a stand-alone is not a long-term solution. Their mission is to create empowering environments that provide and promote access to healthy food, education, and training. Today the GVFB provides assistance to over 26,500 people weekly, 20% of our members are children, 19% are seniors. This holiday season is tough on most families and individuals, who struggle to find adequate sources of nourishment during these colder days. Learn what you can do to get in touch or get involved with the GVFB here. Murphy Battista LLP are proud to support these charities and to help foster community growth when we can. We are lucky to work with each of them in their diverse capacities and would like to wish them all a Merry Christmas and best wishes for the New Year.